A small field in the Ayalon Valley is home to Chubeza. Here we cultivate a combined vegetable field with 100 different varieties of special, high-quality vegetables and herbs. They are all organically grown, free of pesticides and chemical fertilizers. With the aim of renewing the connection between people, agriculture and nature, and to encourage the existence and prosperity of small agriculture, friendly to man and the environment, we chose the CSA model (Community Supported Agriculture). Here, clients subscribe to a weekly box of produce from our organic farm, and receive a constant supply of fresh, delicious, healthy produce straight from the field, that varies seasonally in its contents. We first laid eyes on our field October 2003. The thorny weeds were man-high, but in my passionate, blind love, I knew this was a sign of fertile land and great promise. Our farm now numbers some 25 acres and is located in the fields of Kfar Bin Nun, on the Latrun-Ramle road in the Ayalon Valley. Some plots are located physically inside the moshav of Kfar Bin Nun, peeking mischievously from between the houses, adding grace and beauty to the moshav. Others lay comfortably outside the moshav, behinds the last row of houses. Most of the vegetables are grown in the open field, adjacent to which are our greenhouse and several “growing tunnels” for veggies that need extra protection. Some of the plots have been organic for over 30 years now, others became organic when they joined Chubeza, over the last 15 years. Chubeza clients are an integral part of the farm and each one can take part and stay connected in different ways: pick up the box at the farm, read the weekly newsletter filled with updates and information on the farm and its produce, and visit the farm on open days. We are quite experienced by now, and yet, we are still growing together with our plants, learning so much from them. Like our plants, we too are renewing each season, investing effort, energy and great hopes for bountiful yields. Partner and farm manager. 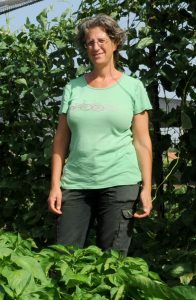 An agronomist by profession, with a degree in agricultural studies from the Hebrew University’s Rechovot Faculty. Alon worked in a small permaculture farm in South Africa, specializing in the combined vegetable garden. 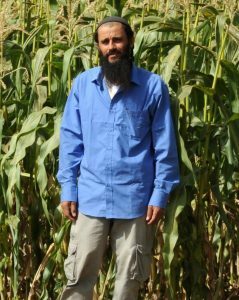 Alon has been a part of Chubeza from the beginning, and began managing the fields in 2004. Founder, partner and customer community manager. Studied organic agriculture & sustainable communities in the US West Coast. She holds an MBA from the New College of California. Bat-Ami worked in a few farms in California operating with direct marketing from farmer to consumer. She establish “Chubeza” in 2003. 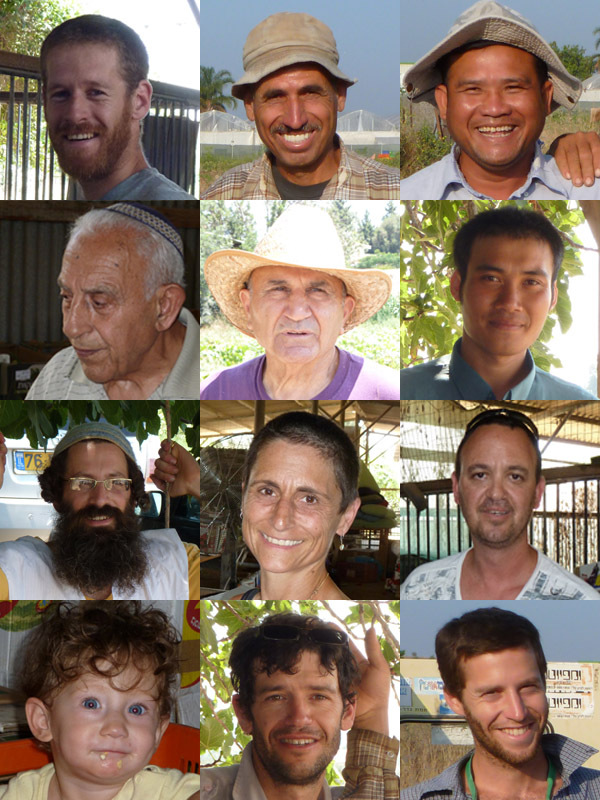 Our wonderful team in Chubeza is a mosaic of talented and dedicated people, Israelis and others, young and not-so-young, employees and volunteers, experienced and “green” wo/men, working together to plant, seed, grow, pack and deliver our veggies to you.